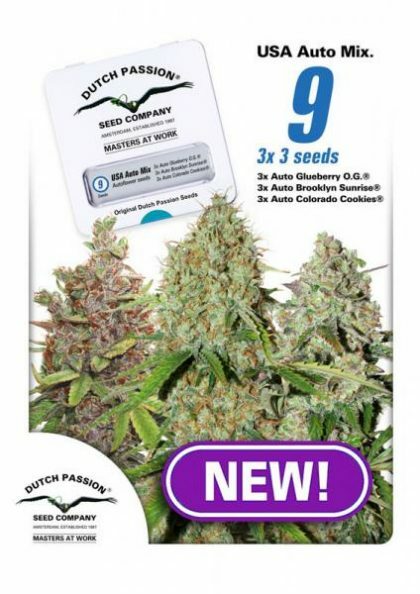 USA Autoflower mix by Dutch Passion is a specially selected mix of easy growing, potent autoflowering feminised seeds from the USA. 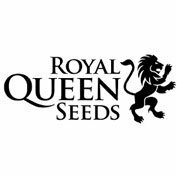 These Indica/sativa varieties are THC rich and include 3 x Auto Glueberry OG, 3 x Auto Brooklyn Sunrise and 3 x Colorado Cookies. 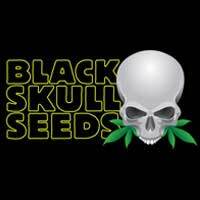 The most potent and easy growing cannabis strains from the USA; sticky THC rich autoflowers. Auto Glueberry O.G. is the autoflowering version of the hard hitting, resin dripping photoperiod Glueberry OG. To turn Glueberry OG into an autoflower, we crossed (Gorilla Glue x OG) with the original Auto Blueberry to ensure the same taste and effect as her photoperiod sister. If you’re looking for a sativa dominant, potent hybrid that can well be used in both SOG and SCROG grows, than try out this American delicacy. With subtle Diesel hints and fruity Blueberry tones, Auto Glueberry OG can be considered a sweet tasting strain with both Asian and American roots. Auto Brooklyn Sunrise combines a distinctively spicy taste with large yields of frosty top strength cannabis. The genetics come from the acclaimed USA East Coast ‘Brooklyn’ Diesel clone noted for a famously rich diesel aroma and strong high. 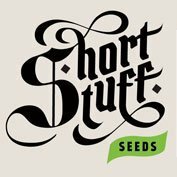 This was combined with some connoisseur AK genetics from upper New York State and made into a feminized autoflowering variety. The result brings together the best East Coast genetics into a heavy yielding and great tasting new auto with a strong yet smooth high. Auto Brooklyn Sunrise gives an unusually strong initial euphoric high, it’s a perfect morning/breakfast choice which is where the variety got its name. This Big-Apple auto is at home in any urban grow-room and comes with our highest recommendations.